Most of you are reading this tutorial because you are hosting a site or doing something else which involves access onto a web disk and you have no idea of what to do. But don’t fret! I will guide you through the process of uploading files onto that web disk. This is fairly simple and there are not many necessary components to uploading via FTP. Let’s first begin with your options. FTP Programs connects your computer to a network disk or drive in which you may upload files there. There are also a variety of FTP programs that you may use as well. If you have Dreamweaver they have a separate guide as to how to use their FTP. The most commonly used and among the most popular is File Zilla. You can find it here: http://filezilla-project.org/ its open sourced and free as well. You can get it for all platforms and operating systems too. Download the File Zilla Client for all platforms. Run that and install it as you would for any other program. There is NO viruses at all if you download from http://filezilla-project.org/ and this statement can be authenticated by a few ten to hundred thousand people who use this tool. On the top of the File Zilla manager there is a text box for Host, Username, Password, and Port number. The host should be your site url. It does not include the http://www. part. Just the site and the .com part. Sometimes webhosts specify a IP address, if that is the case then enter that set of number along with the dots into that area. The Username and Password should be provided by your webhost. The port number is usually 21 but in the case that you do not know, simply don’t enter it, because File Zilla will detect it automatically. Finally press quick connects and you are in. In order to upload to a server, navigate to the correct folder in which you want the file to appear in and then navigate to where the file exists on your computer. The left navigation is by default your computer and the navigation on the right is your ftp server files. Right click on the file and press upload. In some cases if you want to upload more than one file you may left click and drag a blue box across the files you want to upload and then right click them to upload. Also remember that your webhost may specify a log out time after you have been idle for several minutes or so. This is a security measure and very important to protect against people who want to harm their servers. There are many other security measures such as only allowing you to upload around lets say 10 megabytes of data onto their server for around 5 minutes for one IP address at a time. Or in other cases they may specify that you can only upload a file that is less than the size of X megabytes. These are all security measures taken against hackers and users who want to abuse and crash their servers. You may ask your Web Master to change these settings so that you may upload a larger file. Otherwise there is no way to disable this, even using FTP programs. Any other methods would be deemed illegal. As for other FTP programs the procedure may vary but they will always ask for the same details of Host, Username, and Password. If your webhost has Cpanel installed onto it then that opens up many more alternatives as to uploading files. Cpanel comes with its own file manager and a nifty video tutorial of that. They also give you the option of accessing your web disk via your computer as if it was simply any folder on your computer. I have used this in the past and found it very fast and reliable. First click start, and then navigate to My Computer or Computer. (I am currently on a Vista Computer and it’s on the left hand side) On the top of network you should see a bar which says: “Map Network Drive” or something similar to that. Click it. There should be a popup. On the bottom it should say: “Connect to a website that you can use to store your documents and pictures”. Click that. Then choose a custom network location. This would be the FTP part. Hit next and then it should ask you for the location of that network. It gives you a few examples. Its usually, ftp://ftp.yoursite.com and that ought to work fine. Then it asks you if you want to log on with a username or anonymously. You MUST uncheck anonymous and type in your ftp username that was provided to you by your webhost. Finally when you open your new network folder it should prompt you for your password. Type in your password. You can save your password if you are going to access it frequently or it’s a private computer in which no one else has access to. That is basically how to work a FTP program and upload files. You may tweak and set your ftp to your settings to make it connect automatically or so. However you must be warned that once a file is deleted, it cannot be recovered. This is not your ordinary desktop with the trash bin on it. Once deleted it’s gone. So usually first thing I do is create a back up of everything before I upload and delete. As a stay at home dad it’s at times very boring. I have done so many things in life and I realize I have never been a drunk. I have at times been close. It’s an achievement that has seemed elusive. There was always more pressing matters like responsibilities of a job or my previous business in New York City. So how do I start? Do I just get drunk as frequently as I can? Do I start drinking for breakfast? Lately I been into bloody mary’s and boy those are good. Nice and spicy with that nice vegetabe tomato taste. I really love them. I am also a fan of Gin and Tonic which I have been steadily drinking for over a decade. It’s what I consider my fallback drink. Pretty hard to screw it up at just about any establishment. 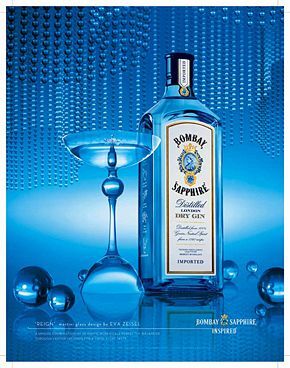 My preference is Bombay Sapphire gin. Doesn't that gin look tasty? I do drink plenty of beer as well. I used to be a big fan of imported brews like Amstel Light. However when I moved to Las Vegas somehow it tasted different. I suspect all the travel the bottles do changes somehow the flavor. Just a suspicion but I could totally be wrong. When I arrived the selection was very domestic and there aren’t too many microbrewery’s like NYC. So I have lowered the quality and was drinking Bud Light. Yes I realize how low-brow that might seem to you. I tend to agree. Oddly now that Budweiser has been sold to a European company does that make Budweiser an imported beer? I do like the new Bud Light Lime. It’s not bad at all. But currently my favorite suds of choice is Coors Light. I blame a local pub for having the coldest damn beer on tap I have ever had. Makes the beer just so much better. It’s actually frozen a bit on the top when you get it. It’s simply awesome. So many bars just don’t have their kegs cold enough and well, I am not from England so warm beer tastes like piss to me. So back to my original thought. How do I become an alcoholic? You have to be thinking “why would you want that?” and well it’s just a simple answer. I am bored and I like to experience new things. Today is the day Google has officially released the Chrome beta. If you haven’t heard Google has decided to enter the browser wars. It’s about time too. Internet Explorer still holds a vast majority of the market share with about 75% while Firefox has 20% and the rest share the remainder. I personally use Opera and have for many years now. I would love to espouse the greatness of Opera to you but this post is about Chrome. My first impression was that it’s fast. It’s actually VERY fast. The program does open quickly on my Windows XP SP2. It has tabs which some believe to be originated with Firefox but reality is that Opera has had tabs since version 4. The tabs are on the top and so is a basic set of controls. Overall the designs is simple and it’s actually appealing. There isn’t much to annoy you. One shortfall is extremely limited options. One can’t tell if that’s because this is beta or if Google intends to make this browser simple and effective. Another relatively nice feature is a speed dial similar to Opera’s except that the Chrome one detects your favorite pages automatically and adds them. I find that pretty dang convenient. There is also the memory password saver which no browser is complete without one nowadays. A downloads and history section also exist but at the time of this writing it’s not tested. One thing I did test was memory usage of Chrome. Below is a screenshot of my results. 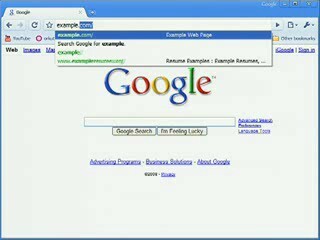 You can do a similar test yourself by opening up all your browsers with the same sites then in Chrome address bar type “about:memory” which will bring up your computers memory usage. Rather handy feature. As you can see from my image. Opera is the least user of ram and keep in mind Opera has a full email client, torrent client, download manager, and irc client. Overall I am pleased with Chrome especially as a first day release beta. It’s small, sleek, and fast. It will be a great compliment browser to anyone that surfs. I use multiple browsers quite often just to test and now I have a new one added to my arsenal. Congrats to Google on a fine showing. Rumors are flying about that Google does plan to release a browser shortly. One that will directly compete against it’s long-term partner the Mozilla Foundation (Firefox). The first news outlet was actually Google itself in their Google Blog. There are now some screenshots available which display a rather simple browser. I am looking forward to the release and I anticipate a long-term successful project by Google to enter the browser market. It’s an evolution that makes perfectly good sense in todays marketplace. Go ahead and give that page a read then come back to read this article as my response. I read the article by Duke and it’s fantastic as usual. It highlights perfectly the problems of “domaining” and that is development. Not one word about development from Schwartz. Here is a guy that’s top 10 in our industry. A leader and a showman. Yet in his big speech makes no mention of adding value to domains. As long as guys like that continue to simply park or sell I believe domaining will have a bad reputation. He mentions a lot about PPC but in reality he is talking about parking. Google won’t kill PPC for sites….but they can easily strangle parking companies. The internet wasn’t built nor has perpetuated based on landing pages to actual legit content sites. Parking companies are just unnecessary middle men that provide a minimal service. They are the pizza delivery boys of the industry. They should not be paid well for their low positions on the ladder of the internet. While I fully believe domains inherently intrinsic value I do not believe that value should be related to parking PPC. It should be directly related to development potential. Natural traffic is excellent and usable but it’s goal should be content.